Katie & MattKatie & Matt’s wedding at the Weston in Jackson, MS will be remembered forever, thanks in large part to Snaparazzi Photobooth Company, LLC. 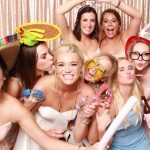 This wedding had many young, energetic singles and young couples posing for the camera! The photo lounge style photo booth really served the guests well. From singles to couples to large groups, all had room and props to arrange themselves in style. 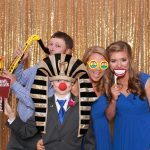 Visit our gallery below to see if this is a style of photobooth you would like.